The healthcare industry has seen a wave of change in recent years that has extended into the physician’s front office. 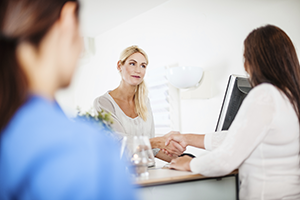 Staff responsibilities such as scheduling, patient service, and billing have been affected by changing payment models and consumerism in healthcare. These changes have brought a lot of stress, but there is good news. Healthcare IT has responded with an array of innovations to make your front-office work easier and your practice more profitable. Some of these improvements employ system features that most practices already own, or that can be deployed at little to no cost. The key is knowing what’s available and how to position your practice for success. This 1-hour webinar event is sponsored by Quest Diagnostics as part of our ongoing commitment to improving access to information and insights. Are you currently looking for RCM, PM, or EHR?